The Sun is setting behind Wyoming's Grand Teton Mountain Range and Mt. Moran. Afternoon Thunderstorms raked over Jackson Lake and the Teton's prior to Sunset. 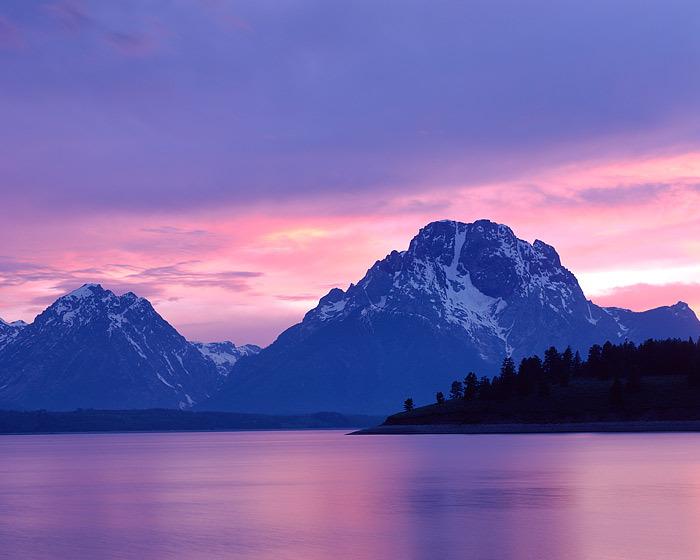 As the storms cleared with the setting Sun Jackson lake and the Grand Tetons were bathed with this colorful sunset. Photo © copyright by Thomas Mangan.